Overly complicated designs can sometimes prove detrimental, especially when it comes to workholding devices. The following describes how simplicity can lead to better outcomes. In the past, generations lived from cradle to grave with little noticeable difference in lifestyle. Today, as you well know, we live in a spectacularly different world. If you buy the latest, fastest, and most powerful computer you can, in just a few years you will have trouble surfing the Web with it. Not that long ago it would’ve been hard for someone to conceive of a phone that you could carry in your pocket wherever you went, and that took pictures, sent text messages, made movies, reminded you of birthdays, woke you up in the morning, and told you your position anywhere on earth to within a few feet. I was out in the middle of a state park recently taking wildlife photographs when my cell phone rang. I had forgotten to turn it off. It was a telemarketer calling me from halfway around the world. I was amazed. It was probably an Internet phone call made for mere pennies from eight or nine time zones away. Change seems to be the way of life; but is this increasing complexity always better? 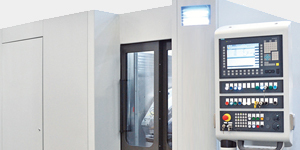 A pillar of my design philosophy is an acronym, KISS, which his stands for “Keep It Simple, Stupid.” I do not know who originally came up with that little phrase, but in designing workholding devices, I don’t believe there is any better guiding principle. Every aspect of a chuck’s function is adversely affected by complexity. 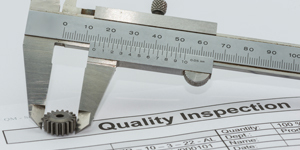 When considering accuracy, a chuck with fewer components is always more accurate. And with rigidity, a chuck with fewer parts is always stronger. 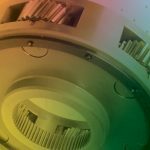 A chuck with fewer parts costs less, has less to go wrong with it, is easier to manufacture, is easier to maintain, is able to be delivered in a shorter period of time, and is easier to operate. In short, I know of absolutely no disadvantage to designing a device as simply as possible. I have actually had customers criticize designs for being too simple. When that was first said to me, I didn’t know what to say or how to react. It just baffled me. No mention that the design wouldn’t work well, nor that it was too expensive, but it was seen as being too simple. I’m sorry to disagree, but simpler is always better. 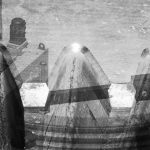 In this article I would like to review a number of chucking devices. I have ranked them in rough order from the simplest to the more complex. Let’s take a brief look at how they function, and some of their characteristics. While by no means a new device, many people are not familiar with this type of holding device, but it’s hard to imagine anything simpler (see Figure 1). This mechanism features a one-piece construction, and one moving part. It is an extremely accurate device. 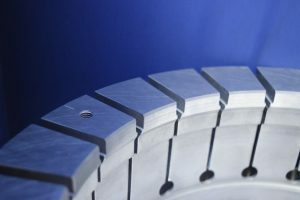 Whatever internal or external gripping surface on the part to be held is chosen (pitch diameter, major, or minor diameters), the arbor is manufactured with a small amount of interference, so that the segments must be slightly moved to get the part onto the collet. Each is custom engineered to have the appropriate amount of tension for loading and holding during the required operation. One large manufacturer has used these push-on arbors extensively for their applications, as they will move with the part or parts as they heat and cool. Their lack of moving components makes them largely unaffected by chip or coolant contamination problems. They can be designed with multiple holding diameters. Other common applications for this device are for balancing, transfer, for centering parts prior to clamping with swing clamps, or in combination with other types of chucks, etc. This is a very versatile device, and it should be utilized in many more applications than it is currently. This device comes in a wide array of configurations. For ease of visibility, this diaphragm is shown without the rest of the chuck (Figure 2). It is a bit more complicated than the push-on arbor, but in its function it still only has one moving component. Force is applied to the center of the diaphragm and the fingers move outward to allow part loading. The force in the center is removed and the fingers move inward (in this case) holding the part securely on the outside diameter and again very accurately. 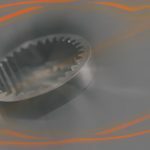 It is the tension of the diaphragm material that holds the part, similar to the push-on collet, but now a machine drawbar or self-contained cylinder on the chuck provides the force that opens the chuck. With today’s powerful FEA modeling software, diaphragms can be designed with a range of motion and durability that were unheard of not too many years ago. They are extremely accurate, have wonderful chip clearance, can be totally sealed against coolant, grinding grit, or other contaminants. They are very easily changed over from one part size to another, and with counterbalancing thet can run at very high rpm. 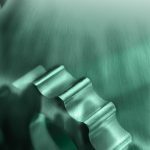 Operations in which they are commonly used include grinding, hobbing, milling, balancing, transfer, turning, and welding applications. 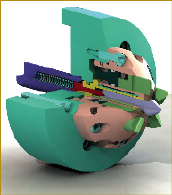 We go up the complexity scale just a little with this type of chuck, which is manufactured by our Cameron Division. Figure 3 are of an internal and external hydraulic sleeve type chucks. No longer is the tension in the holding device only used for locating the part, but an actuation force of some kind is needed for this and all succeeding types of chucks that we will discuss. In this mechanism hydraulic pressure is applied to a steel sleeve, causing it to expand or contract, thereby gripping the part. Again, very great accuracies are possible with this type of chuck. It can be configured to grip on a part’s outside or inside surfaces, pitch, major, or minor diameters. These chucks can be actuated manually with a screw or machine drawbar, with a self-contained cylinder, or with an external hydraulic pump. Hydraulic sleeve type chucks are most often thought of in very high precision finishing applications, but virtually any type of second operation machining can be done on a hydraulic sleeve type chuck. 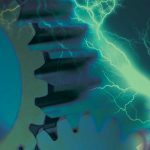 Even when splined they can be loaded robotically or with some other automatic device, and with FEA software used during design their capabilities can be greatly increased over what has been possible in the past. By using slave collets, they can be changed over quite quickly from one part size to another. 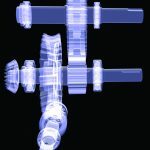 One especially valuable feature of a hydraulic sleeve type chuck—in addition to their very high accuracy—is that, unlike virtually every other kind of chuck, the steel sleeve that contacts the part will, when actuated, conform to the surface being gripped. 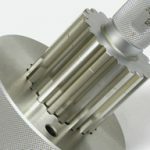 This, coupled with the often very high internal pressure, allows this type of chuck to withstand extremely large tooling forces, and it allows very thin walled parts to be machined with no deflection of the wall due to tool pressure. In my opinion, this is another underutilized device. This assembly, which is a standard from our Madison Face Driver Division (Figure 4), looks complicated, but there is actually only one moving detail that locates the part; the spring loaded center. 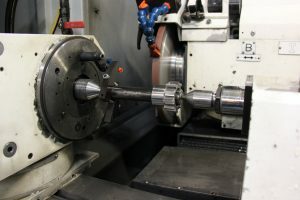 The part, usually a shaft, is loaded onto the spring loaded face driver center, and then the tailstock center is brought in. The center moves toward the headstock, compressing the spring. The end of the part (which does not have to be square) contacts the first pin. That pin is forced toward the headstock as the other pins advance to the part and, lastly, the center locks into position. The first cut of the tool must be made toward the face driver, ensuring that the knife edges of the pins indent slightly into the part providing the drive. Very high accuracies can be achieved with this device, and very aggressive machining can be performed upon them. The range of shaft diameters that can be run on standard face drivers go from about .270” to well over 10”. 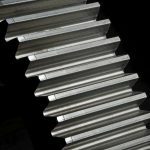 Most typically these are used for end to end turning of unheat-treated shafts, but they have also been used very effectively in hobbing, grinding, and hard turning operations. Again, increasing in complexity slightly, we come to the collet type chuck. Depending on the type of chuck and how you count the components, there would be two or three moving components in this type of chuck. For the graphic shown in Figure 5, I put together all the specially designed collets that Speedgrip Chuck has done over a relatively short period of time. As you can see, there is tremendous variation between them. Almost any generalization that you try to make about collets is wrong. Most have one or two tapers for actuation, but some have dozens of tapers. Collets are generally used for round parts, but square, half moon, and other shapes—even irregularly shaped parts—have been successfully held with collets. Usually they are made from steel, but a variety of other materials have also been used. The majority of the time the collet centers the part, but they are also sometimes used for face clamping rather than centering. Often the range of expansion is limited. On the other hand, collets have been made that expand as much as most jaw chucks, and on and on. 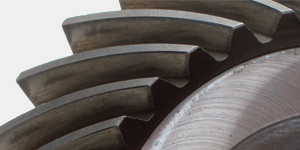 Collet type chucks have really been the second operation workhorse for the past 40 years or more. New and exciting innovations in collet chucking are being developed all the time. There are huge varieties of collet chuck designs. Just to name a few, there are single taper, double taper, reverse single taper, split-from-one-end, and segmented, and each of these can be either outside, inside, or pitch diameter gripping. 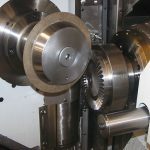 The way they typically work is by male and female conically tapered surfaces sliding against one another, thereby collapsing or expanding a slotted collet. These chucks offer good repeatability and are quite robust, being able to hold parts for first or second operations. Their range of sizes go from the monstrous (well over 30”) to the miniscule (under .375”). 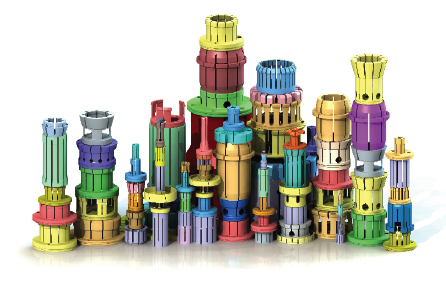 I have shown some of the wide variety of standard collet chuck assemblies available in Figure 5a. At the top of the complexity scale we find jaw chucks. We like to keep things as simple as possible, but sometimes you just can’t escape the functionality provided by a jaw chuck. Virtually everyone is familiar with these mechanisms, as they are shipped standard on NC lathes, etc. There are a number of different ways of actuating the jaws. The three most popular types are probably wedge, lever, and scroll type actuation for these chucks. 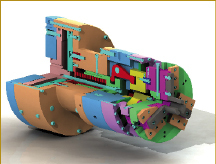 The chuck shown in Figure 6 is a lever actuated jaw chuck, which has over 2” of stroke covering a 2” to 12” part range with five sets of top jaws. Generally speaking, the accuracy of jaw chucks is not quite as good as that of some of the other mechanisms. There are exceptions, but most often that is the case. They usually offer a very wide range of jaw movement and quick changeover between top jaws. 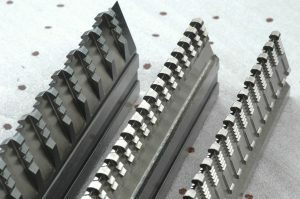 These chucks come in wide variety of styles, with many differing features, including a range in the number of jaws and special chucks that retract during machining. If you can imagine it, it can probably be done. Jaw chucks are especially well suited for very large parts. 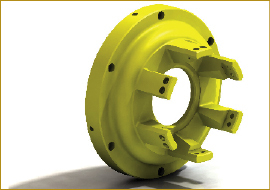 It is hard to envision another type of chuck capable of holding parts in excess of 60” in diameter, as Speedgrip Chuck has manufactured in the past. The chuck shown in Figure 6a (without top tooling) is a 36” diameter chuck most often used for turning aircraft engine parts. 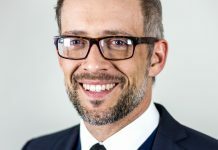 Every one of the chucks listed in this article have been combined with chucks of another family type in one device. 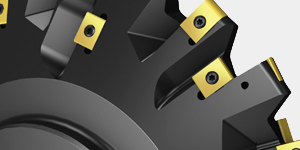 Collet chucks can be combined with clamps, which are automatically actuated by a machine’s drawbar. Again, with only the one motion of a drawbar for actuation, a collet can grip the part and work supports can lock and support a thin walled part against tool pressure. 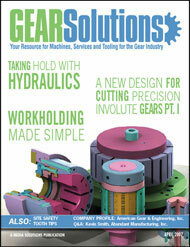 Hydraulic arbors and collet chucks can work in the same mechanism. The possible variations are nearly limitless. We started by discussing the simplest holding mechanisms, and we have looked at progressively more complex chucks and chuck combinations. This huge variation is what makes my job fun. Every day brings a new challenge, a new requirement. As I’ve said, I strongly believe that the simpler that we can make the workholding device, the better for everyone involved. 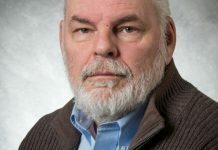 The fewer the variables, the fewer the ground surfaces, and the fewer the moving parts translates directly into a more accurate, more rigid, and more affordable device. 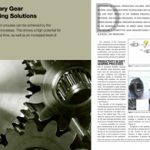 As I’ve mentioned in the past—please see “Holding the Line” in the April 2006 issue of Gear Solutions—our team of workholding designers should be considered a very valuable resource in your quest for the most efficient and accurate production of parts. 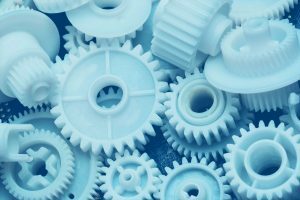 We are involved with the processing of more parts in a few weeks than most manufacturing engineers will see in an entire year. 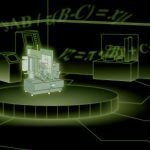 That is virtually all that we do; look at machine information, review part process drawings, evaluate finished part requirements, and put all of this information together to come up with workholding solutions. Give us as much freedom as you can. 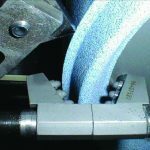 If you tell us that you want a very specific type of a chuck to linearly locate on that datum and grip on that surface, we will design it for you, but there just might be a better solution. Give us the freedom to suggest solutions out of our many decades of experience. Don’t tie our hands. 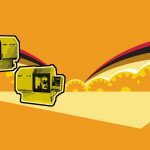 Give us a good part print, complete process information, and your machine specifications, and then let us suggest the best answer to your needs that we can find. Information that is especially helpful to us is what you are using now in a similar application. Is it high or low production? 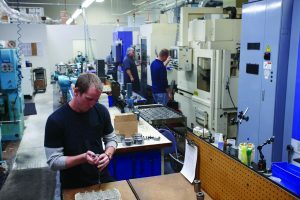 If you’re only making a few hundred parts a year, that will dictate a different solution than if you are running around the clock on multiple machines. Send us a sample part if at all possible. What do you like about your present chucking device? What causes you problems? What do you hate? What are your chips like? 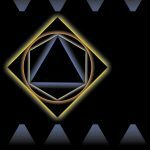 Sometimes we can become so accustomed to living with a problem that we begin to assume that there is nothing that can be done about it. Let us know anything that can be done to improve the operation—from a minor annoyance to a major aggravation, let us know. Don’t be afraid to try something new. We won’t suggest something if we’re not sure that it will work. We don’t have the luxury of prototyping. We depend heavily upon our extensive design library and our many decades of experience. We’ve got to hit a home run the first time, every time. This is an exciting field of work, and there are always new challenges. We can help you meet your challenges and make your job easier if you allow us to do so. 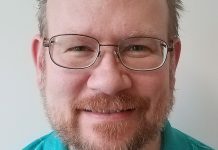 is chief designer for Speedgrip Chuck, Inc. 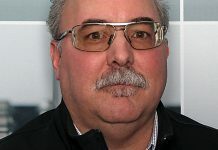 He can be reached at (574) 294-1506 or dstokely@speedgrip.com. The company's Web site is [www.speedgrip.com].